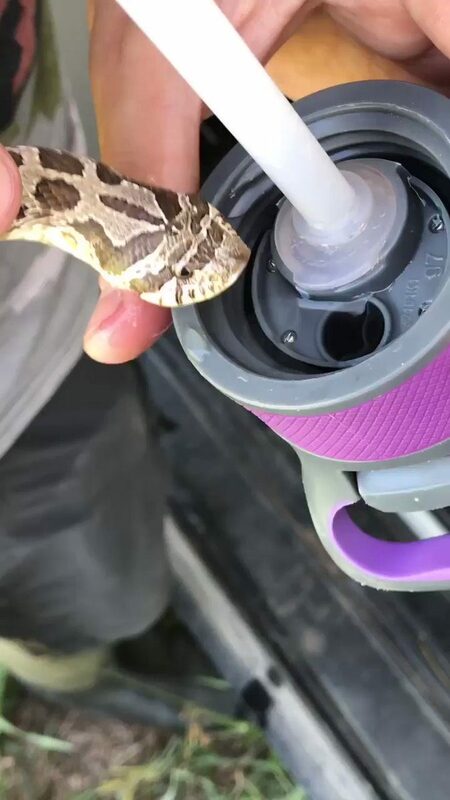 Herpetological Field Assistant Taylor West came across a Western Hognose Snake last week while surveying sand prairies. Given the hot temperatures, she and fellow field assistant Tristan Schramer offered the snake some water. Video of the encounter has been shared over 10,000 times!